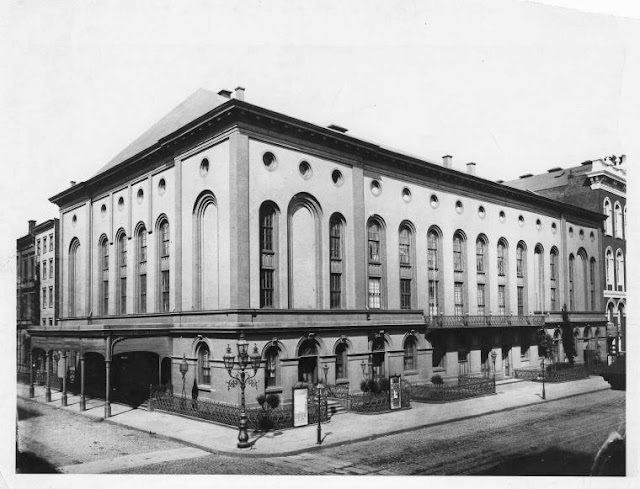 Italian opera found its first home in New York City at Palmo’s Opera House, which opened in February 1844. 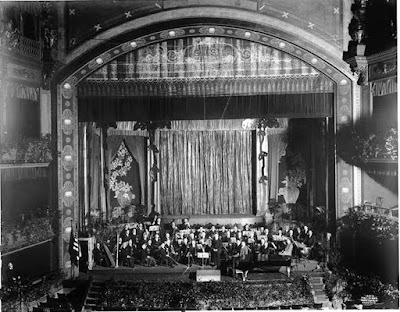 It was quickly replaced in favor by the grand Astor Place Opera House, which held 1,800 patrons and opened its doors on November 22, 1847. 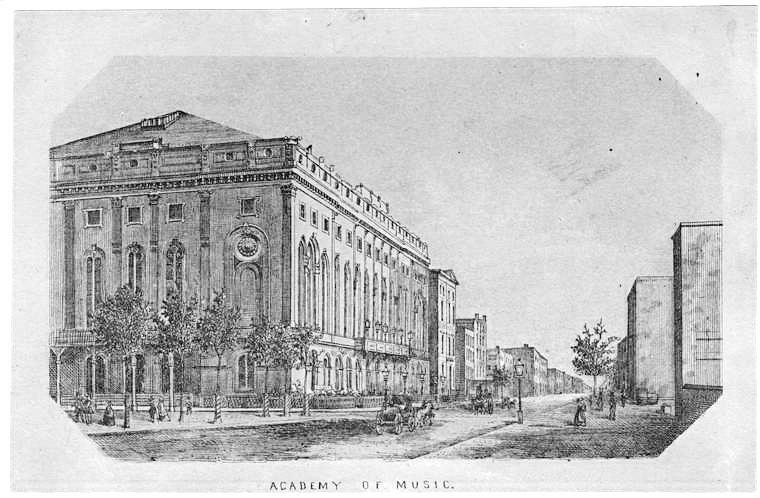 The budget for the new Academy of Music was placed at $135,000 (more than $4.25 million in 2015); but by the time the building at the corner of 14th Street and Irving Place was completed two years later, costs had risen to $335,000. Ticket prices were out of reach for the commoner. An advertisement in the New-York Daily Tribune in December that year listed the ticket prices for Rossini’s The Barber of Seville. The $2 First Circle seats would equate to about $65 today; and the Proscenium Boxes were priced between $6 and $30 each, “according to locality and capacity.” The most expensive box would be in the neighborhood of $950 in 2015. The managers quickly realized that sumptuous surroundings would not excuse mediocre productions. On the night of November 27, 1854 the audience was presented with two acts of the Puritans. But when the curtain rose for the next act, patrons were surprised to see the last scene of Lucia di Lammermoor. The critic from the New-York Daily Tribune was not pleased. 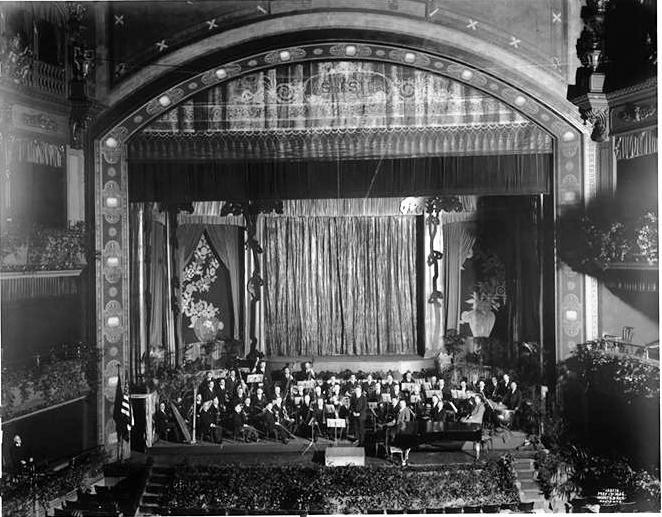 The auditorium was arranged so it could be converted for grand entertainments, like balls and receptions, by installing temporary flooring that created a dance floor level with the stage. 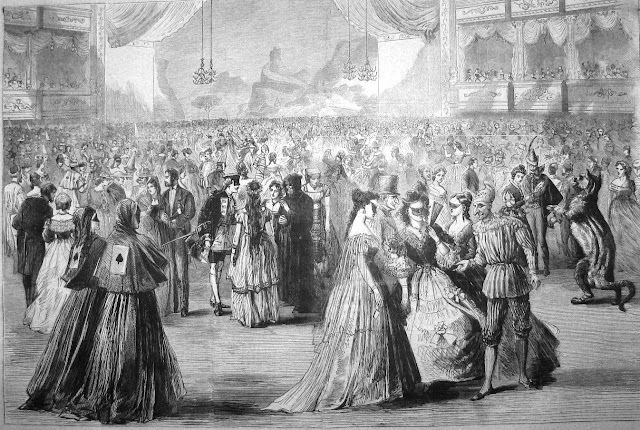 When society realized that the Prince of Wales was coming to New York in 1860, a “Grand Ball” in his honor was planned for the night of October 13. By the time the Prince arrived at 10:00 with his entourage, the Academy was crushed with a “very splendid, crowded, gorgeous and glittering levee, which well take rank with the most magnificent ‘jams’ of history,” according to The Times. Unfortunately, the organizers of the ball had invited 500 more people than the house could accommodate. Someone, said The Times, “had blundered.” The 19-year old Prince was ready to dance, however by midnight the ball had not begun. He was protected from the crushing throng in a roped-off section; but was surrounded by a crowd that “surged and swayed.” Suddenly, a large portion of the floor directly in front of the Prince gave way. The newspaper reported “As it was, people simply stared and stammered out their surprise. Before they could recover from the shock they were saluted with a second. This made the matter serious.” Two hundred richly dressed guests plummeted through the gap. The silk-slippered crowd rushed to the corridors and upper floors, fearing further collapse. The ball was ruined, the City was embarrassed, but The Times found one positive in it. With no dancing possible, “it killed the much debated ‘first dance,’ over which our ladies have been, or have been made to appear, so elegantly unhappy.” There could be no jealousy or fighting when no one at all danced with the Prince. On the night of May 23, 1866 the Academy of Music burned. New Yorkers crowded the streets as the flames gutted the elegant structure. Two weeks later the foundations and remaining walls were deemed structurally sound enough to use for rebuilding. Indeed, the replacement structure bore a muted resemblance to its predecessor. The graceful parapet was eliminated, and the ornately-embellished arched openings were now unadorned. The interiors, however, were lavish. Capable of seating 2,500 patrons, the $250,000 building boasted “greatly increased” acoustic properties. 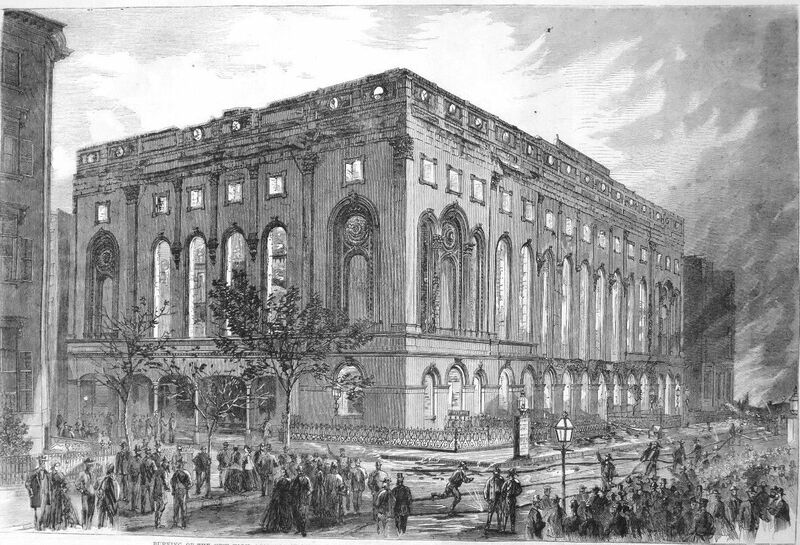 James D. McCabe, in his New York by Gaslight, wrote "It is magnificently decorated in crimson and gold, and its auditorium equals in beauty and splendor that of any European opera house." Indeed, the display of “grand toilettes” at the Academy of Music was de rigueur for the upper echelon of Manhattan society. Opening nights at the Academy saw boxes filled with socialites dripping in pearls and diamonds. James McCabe explained "The scene during opera nights is very brilliant, the audience being in full dress, and comprising a thorough representation of the elite and fashion of the Metropolis." 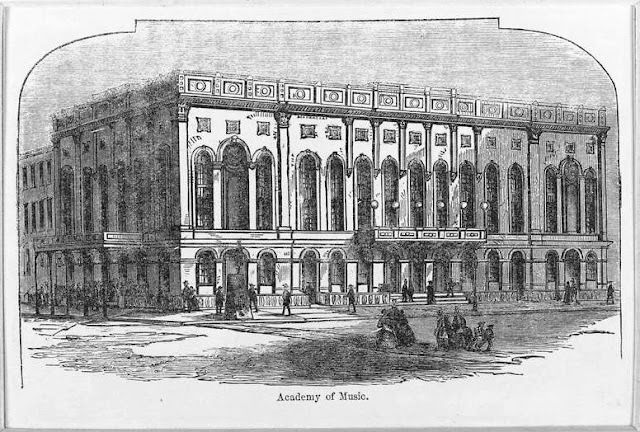 In several scenes in her The Age of Innocence, Edith Wharton placed her characters in the Academy of Music. Owning a box here declared one’s place in society. And that caused an eventual problem. Abbey explained that no one was unhappy with the Academy itself, nor with the performances. But the old box owners would not give them up; causing irritation to other millionaires. A group headed by William K. Vanderbilt, Cornelius Vanderbilt, Robert Goelet and his brother Ogden, Pierrepont Morgan and James Roosevelt came up with a solution--the Metropolitan Opera. When the Academy managers realized the men were serious, they offered to alter the old house, adding 120 new seats and 26 boxes. But it was too late; their minds had been made up. The Metropolitan Opera House was opened in 1883 on Broadway at 39th Street, far north of the Academy of Music. 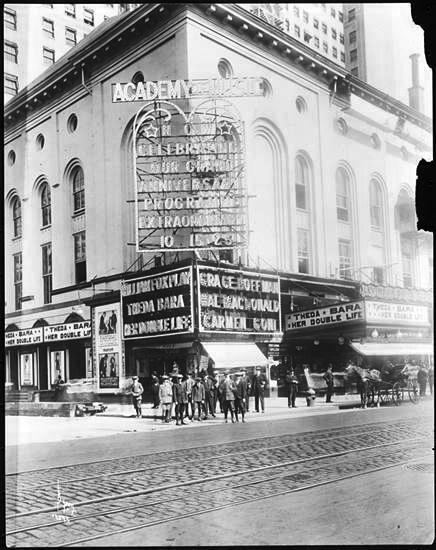 The theater district had begun moving northward years earlier, leaving the Academy in its dust. 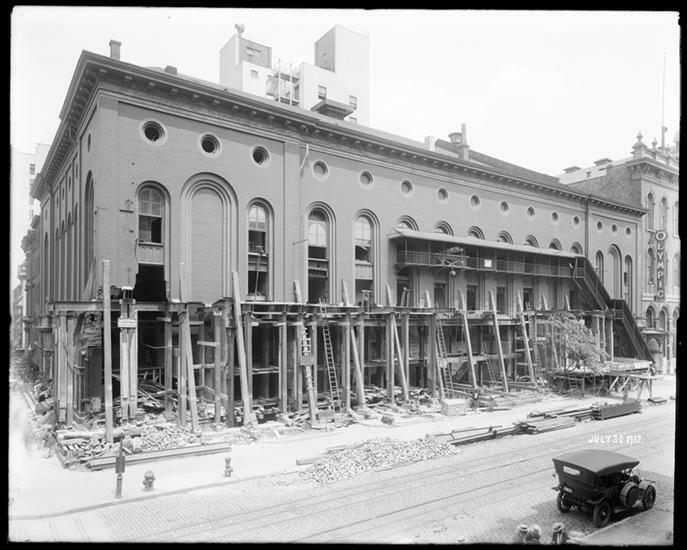 The stubborn management of the staid old opera house, however, was steadfast in remaining on 14th Street. The managers redecorated the Academy of Music before opening night that year. Both houses opened the same night, October 22. For weeks society was torn between which house to patronize. The New-York Tribune admitted that “Where to go is this year quite as troublesome a question as what to wear.” The factions remained divided between the old patroon families and the new industrialists and bankers. But on opening night, The Metropolitan Opera House won the first battle hands down. 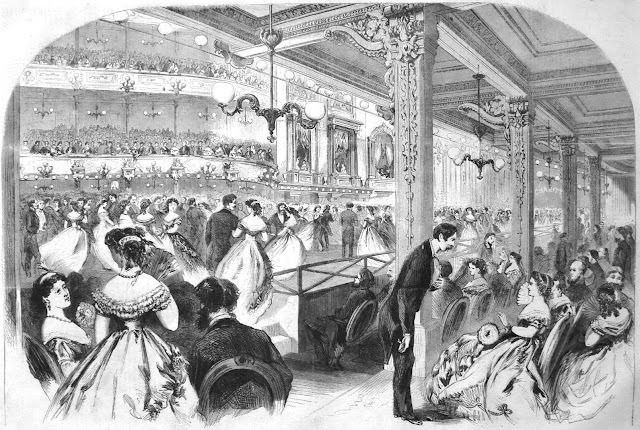 The humiliated theater turned to vaudeville in 1888--a crushing demise to the opera house that had defined Manhattan society. Following the turn of the century the auditorium was leased for labor meetings and rallies. 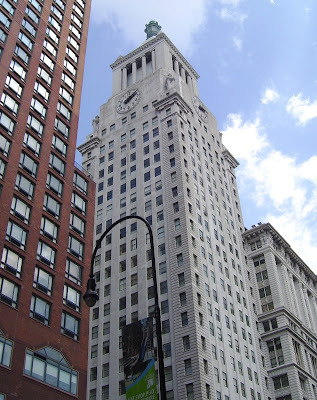 Architects Warren & Wetmore designed the firm’s 26-story tower on the site of the demolished Academy building. 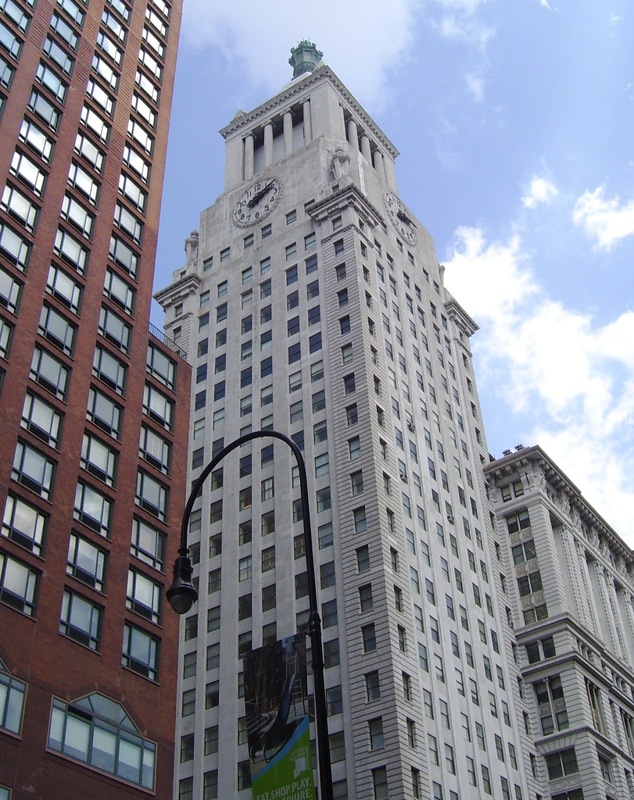 The surviving Con Ed Building is as well-known a landmark today as the Academy of Music was for more than half a century.